Stay ahead of the latest trends for your next special celebration with this very fashionable Geometric Marble Cake. This very cool, angular cake comes with three tiers of delicious cake, with the top two perfectly marbled and the bottom tier decorated with geometric shapes. 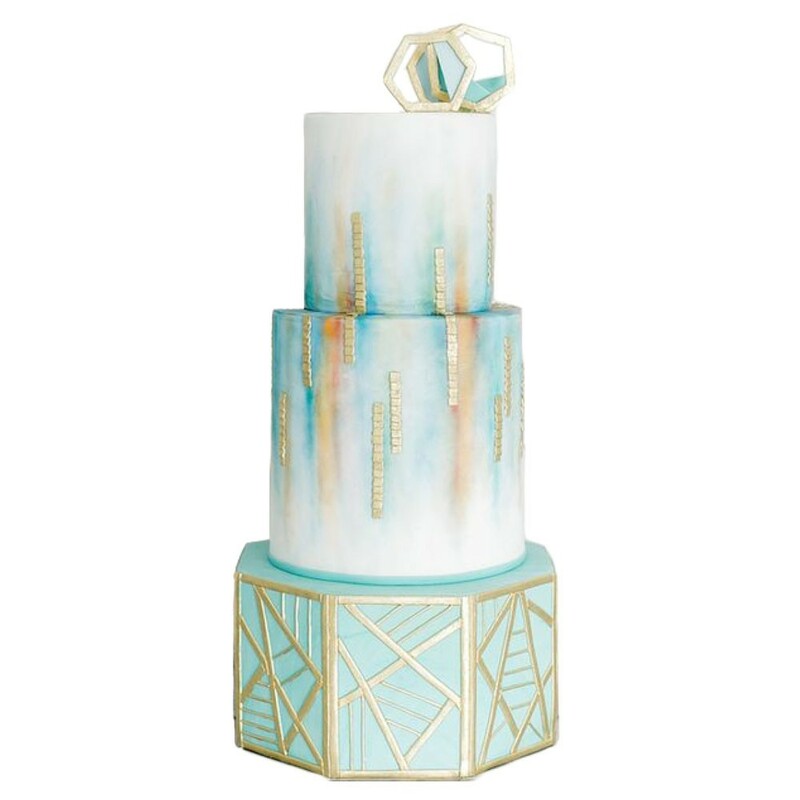 We’d like to acknowledge the original cake designers Style Me Sweet Design for creating this gorgeous cake.